Sunbeam Heated Mattress Pad Just $24.99! Down From $50! You are here: Home / Great Deals / Amazon Deals / Sunbeam Heated Mattress Pad Just $24.99! Down From $50! Amazon has this Sunbeam Heated Mattress Pad on sale for just $24.99 down from $49.99 PLUS FREE shipping with Amazon Prime or for orders $25 or more! This Quilted Heated Mattress Pad features dual-zone control for individualized comfort, 5 generous ounces of fill, a controller with 10 heat settings, and a 10-hour auto-off function for a restful night, every night. 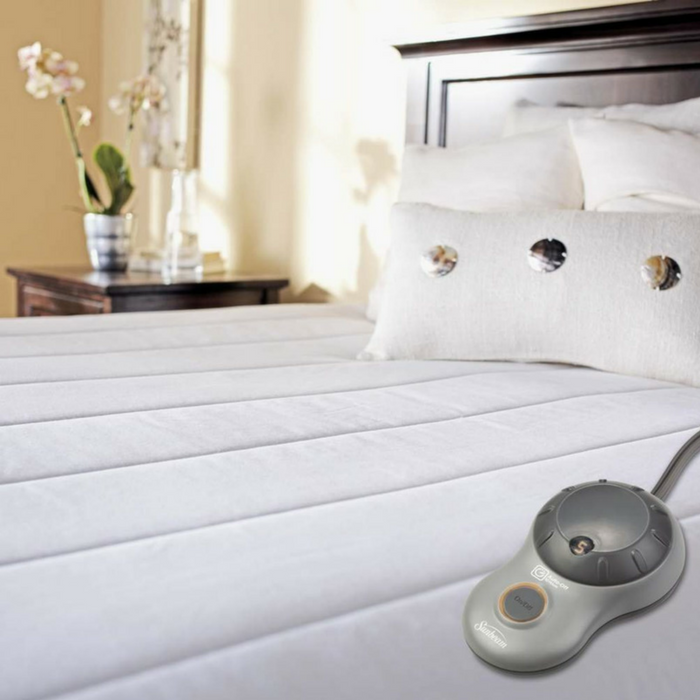 The ThermoFine warming system senses and adjusts throughout the blanket to provide consistent heat. ThermoFine® technology senses and adjusts to deliver consistent warmth while you sleep.